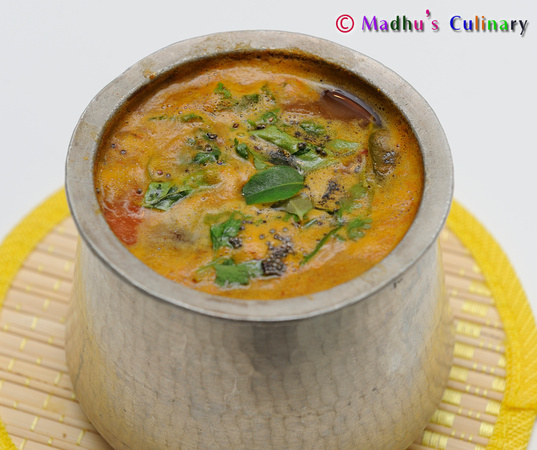 Mysore Rasam ->Suvayo Suvai | Simple Vegetarian Recipes, Easy to prepare and healthy to eat! Rasam, in general is good for general health. 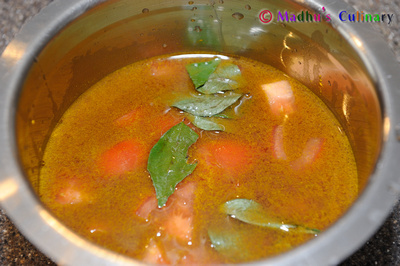 This Rasam is very apt for the rainy/cold season. It helps to alleviate cold, cough and fever. From 6 month baby to the aged all can eat. It comes with lot of medicinal values. Cook the Toor Dal with sufficient water and a pinch of Turmeric powder using a pressure cooker up to 3 whistles. Take the Eeya Chombu/any vessel and add the Tamarind water, Turmeric powder, Asafoetida, chopped Tomato, Curry leaves and Salt. Cover it with lid. Bring in to a boil until the raw smell of the ingredients is gone. Take a Kadai and add few drops of Ghee/Oil. 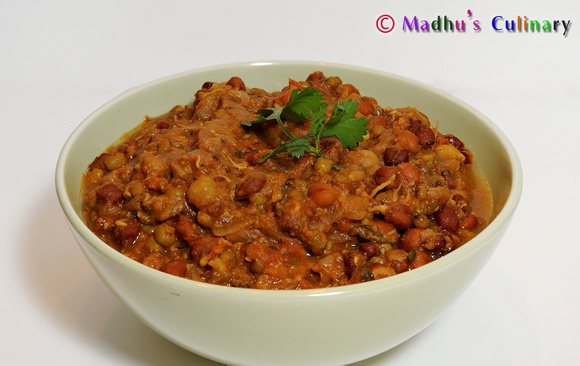 Add the Channa dal, coriander seeds and red chili and fry for few minutes. Add Pepper, cumin seeds and grated coconut and fry for 1 minute and switch off the flame. Take it out and let it cool. In the Mixer, add the fried items and grind until powder consistency. Then add little water and grind into paste consistency. Add the ground paste into the boiling Tamarind water and add 2 cups of Water. Then add cooked and mashed Toor dal and grated Jaggery and mix it well. Boil until when you see foam on the top. Switch off the flame. Take a Kadai, add the Ghee/Oil and heat it. Add the Mustard seeds and cumin seeds. When it splutters, add the curry leaves. Pour it into the Rasam. Garnish it with Coriander leaves. Serve it hot with Rice. You can drink it like soup as well. 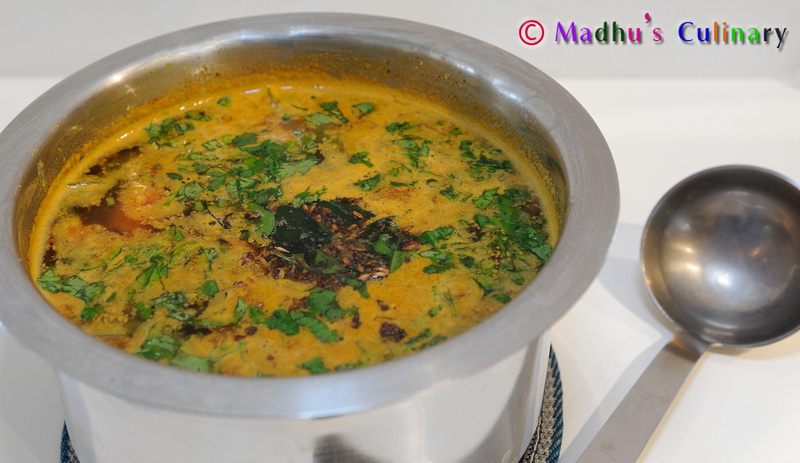 If you use Eeya Chombu (Controversial topic as its Lead based), the Rasam will taste much better. Its iconic use in Brahmin families over centuries is well documented. 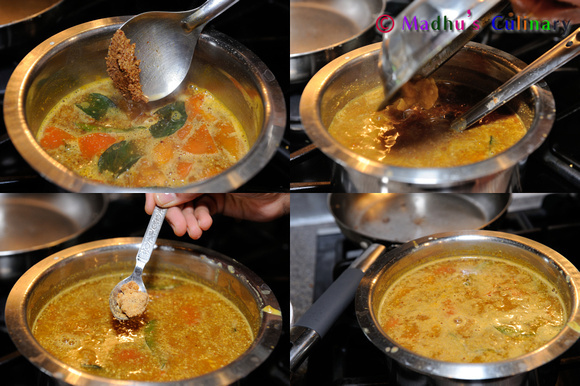 You can add few cloves of Garlic while seasoning and pour it into Rasam. 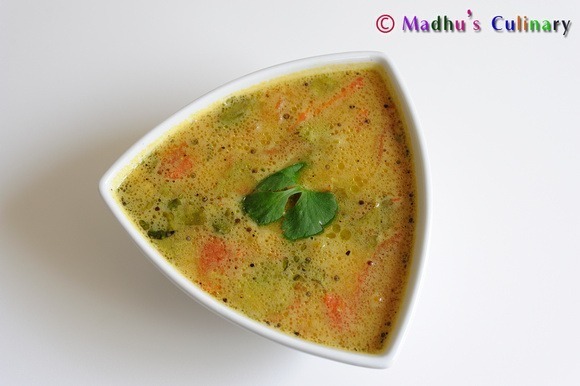 The consistency should be little thick than the usual Rasam. You can add few curry leaves while roasting the items and grind it. It gives a nice taste.